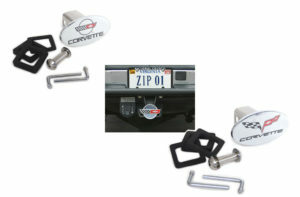 Do you want your Corvette to stand out? 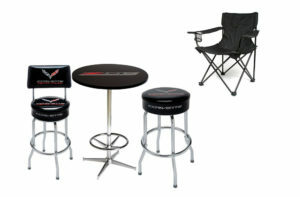 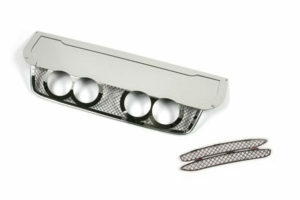 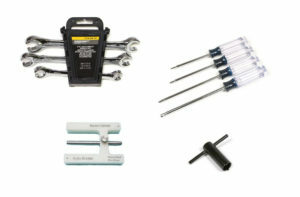 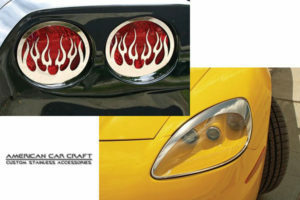 American Car Craft’s products are designed just for that! 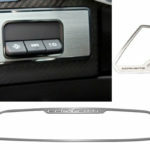 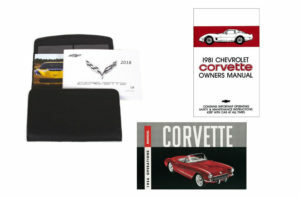 Beautiful, durable, striking, stunning, sharp…..these are all words that you could use to describe our new 05-13 Corvette Interior American Car Craft items! 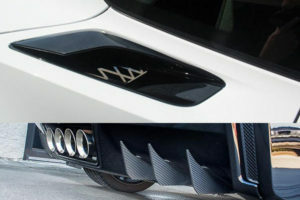 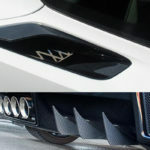 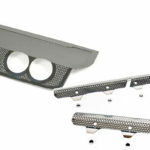 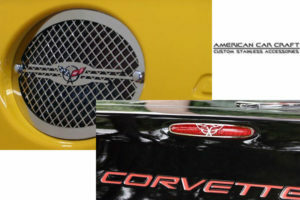 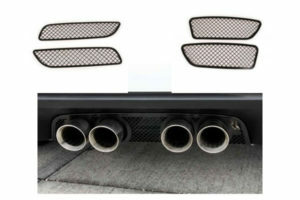 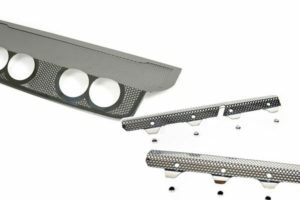 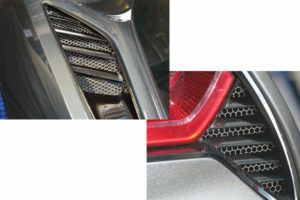 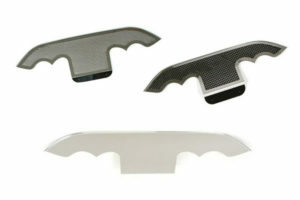 Dress up your Corvette with American Car Craft’s perforated series! 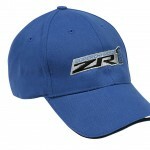 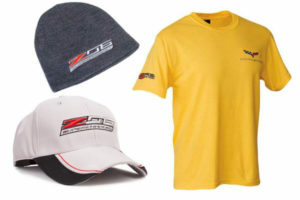 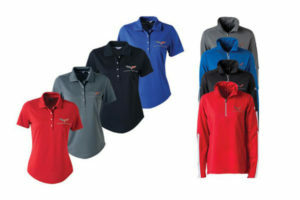 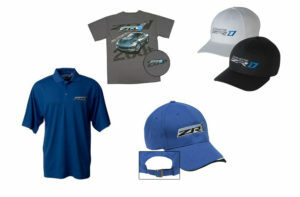 From beanies to polos, our Z06 apparel will keep you stylish! 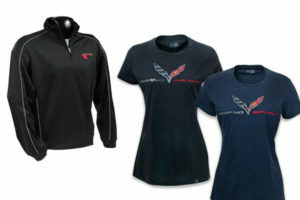 C6 and C7 Z06 apparel options available! 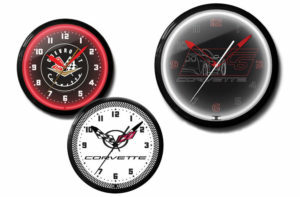 What has proven Corvette’s superiority time and time again? 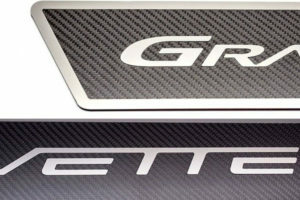 The race track. 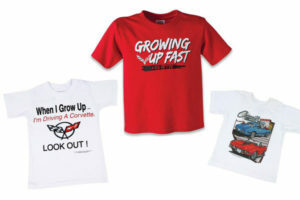 Chevrolet has simply put it’s words to action on the track. 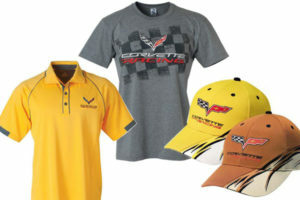 Now we can be proud of this same heritage with a new series of Corvette Racing T-Shirts. 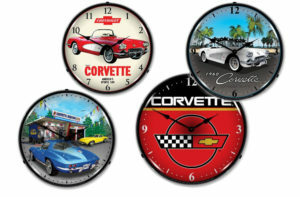 If you or your beloved Corvette enthusiast don’t already have a Corvette clock hanging on your wall, it may be time! 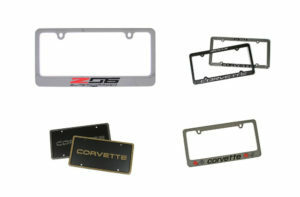 Dress up your Corvette this season with one of our many license plate covers! 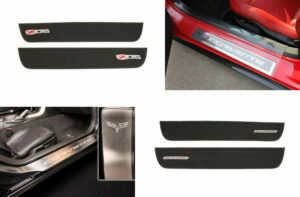 If you’re searching for practical sill protectors for your Corvette, the Sill Ease Sill Protectors are what you’ve been looking for! 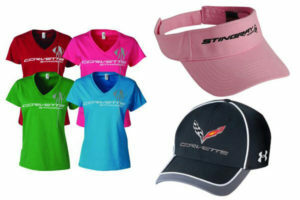 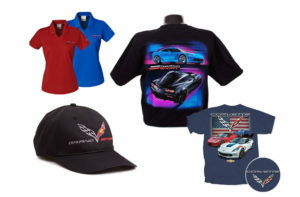 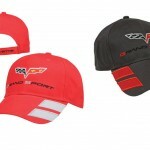 Represent your favorite generation Corvette in boldly this season by shopping our Grand Sport apparel! 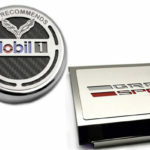 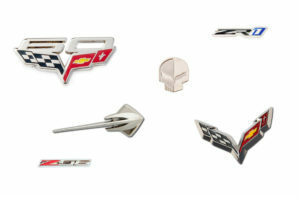 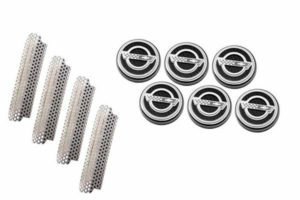 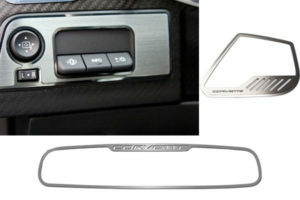 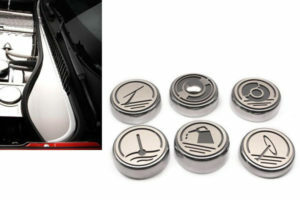 Spice up your jacket or outfit with our selection of Corvette lapel pins! 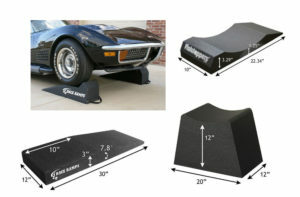 Let your neighbors and friends riding down the road know that you are a true Corvette enthusiast by installing one of our Corvette Flag Toppers! 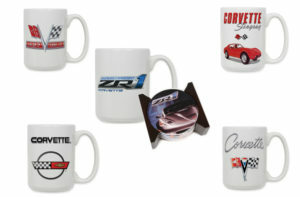 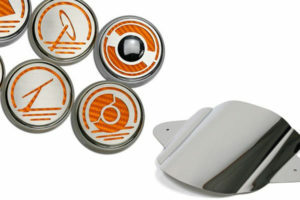 Enjoy your morning coffee or your favorite hot beverage with Zip’s line of GM licensed ceramic mugs! 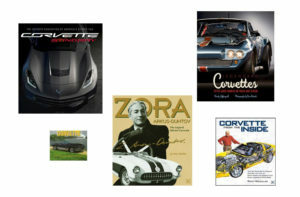 Everybody, especially Corvette drivers, deserves a travel buddy! 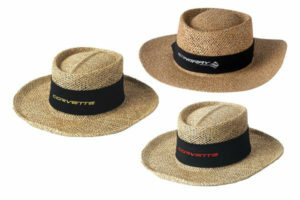 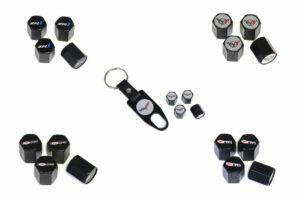 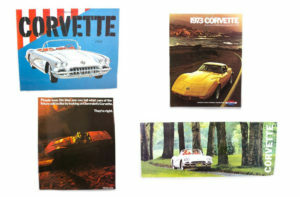 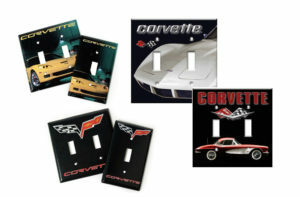 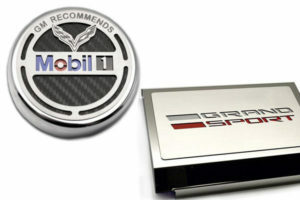 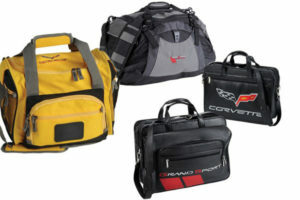 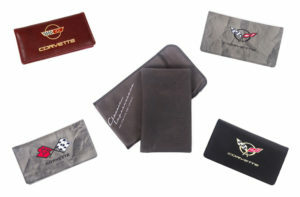 Give the gift that can’t go wrong for your Corvette lover! 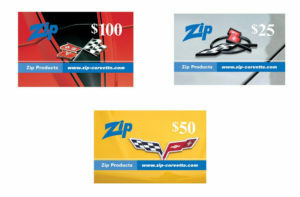 Shop our gift cards today! 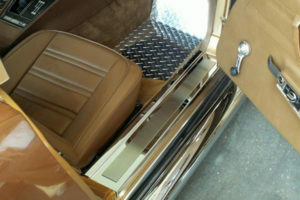 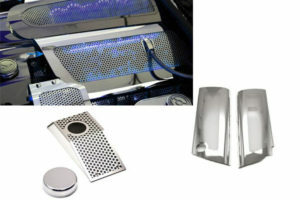 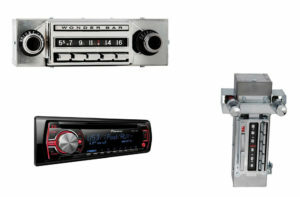 It’s what’s on the inside that counts, especially when you have an aftermarket stereo and speaker system! 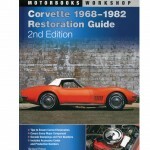 As the seasons change and it’s time to bundle up, don’t neglect your Corvette! 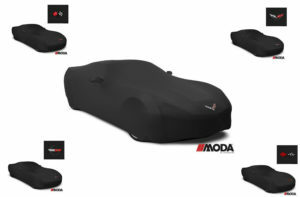 Our ModaStretch Car Covers are the perfect solution to your car cover needs! 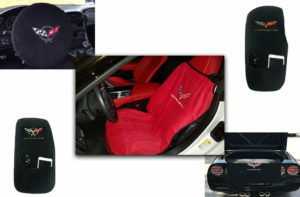 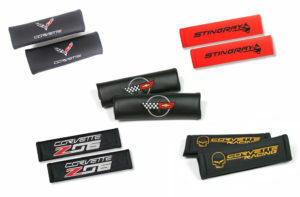 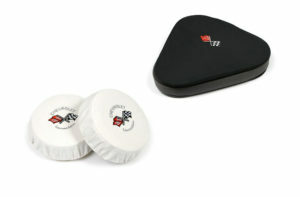 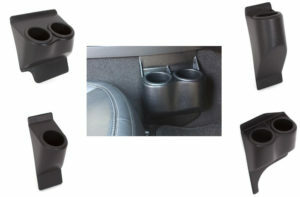 Love your Corvette Seat Belts with Corvette Seat Belt Pads!